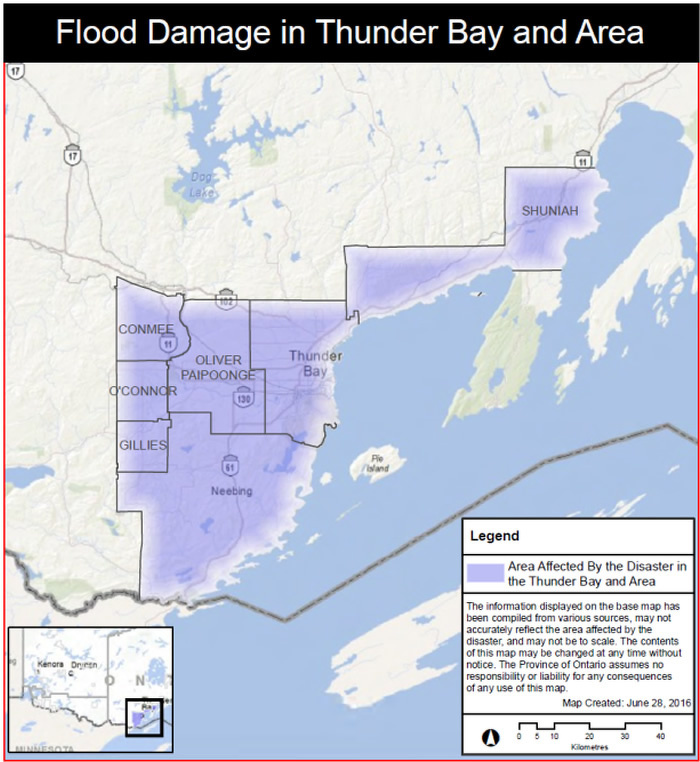 Ontario has notified the City of Thunder Bay and surrounding municipalities that it has activated the Disaster Recovery Assistance for Ontarians program in their communities due to recent flooding in the area. Affected individuals, small businesses, farmers and not-for-profit organizations who have experienced essential property damage or loss as a result of this disaster may be eligible to receive help with expenses. More information and detailed program guidelines are available at ontario.ca/disasterassistance. Those affected by the flooding may also call toll-free at 1-844-780-8925 for more information about the program.